Our niece, Lyndsay, lives about an hour east of where we are so we went to meet her and her husband, Brett, for lunch in Hampton, Virginia, which was a half-way point. We enjoyed a good meal and conversation. Good to see them both again. 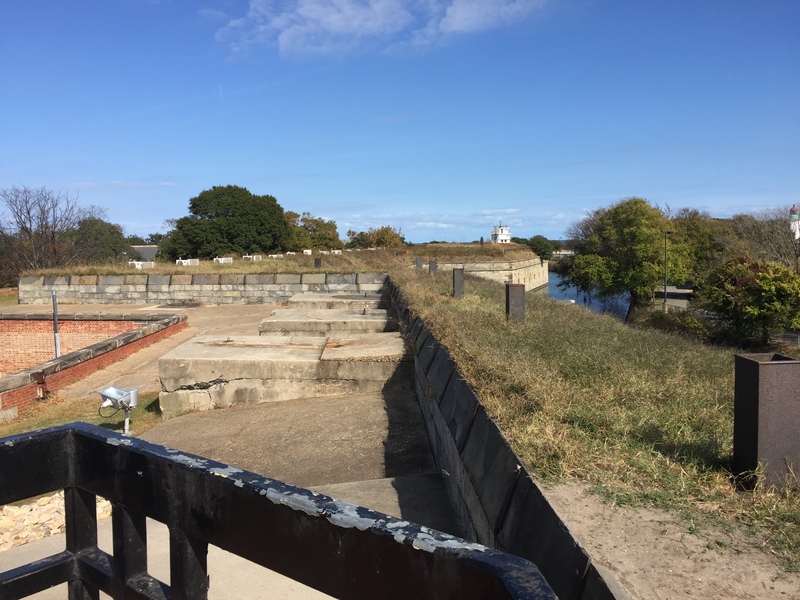 After they left we went about a mile north to see Fort Monroe. 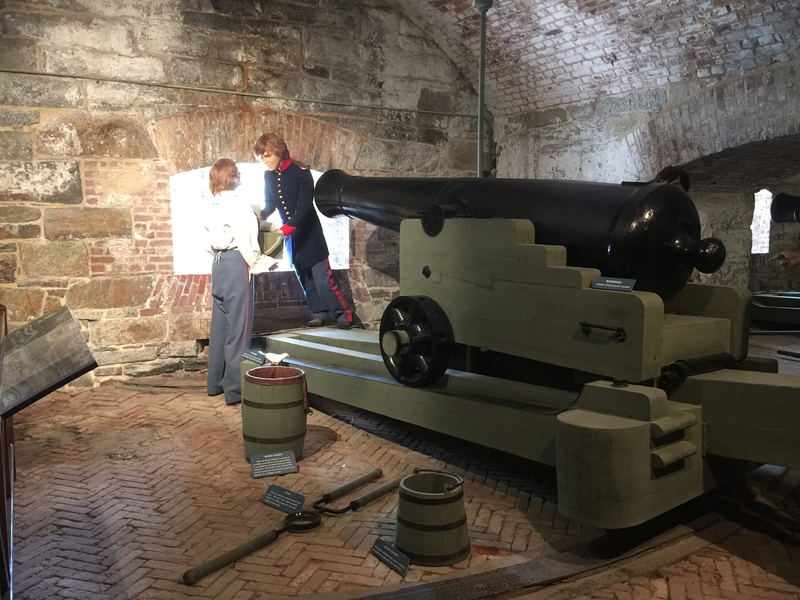 Known as the Gibraltar of the Chesapeake, this third-system fort, completed in 1834 on Old Point Comfort in Hampton VA, was originally designed to help protect the Chesapeake Bay from enemy attack. It is the largest stone fort ever built in the United States. 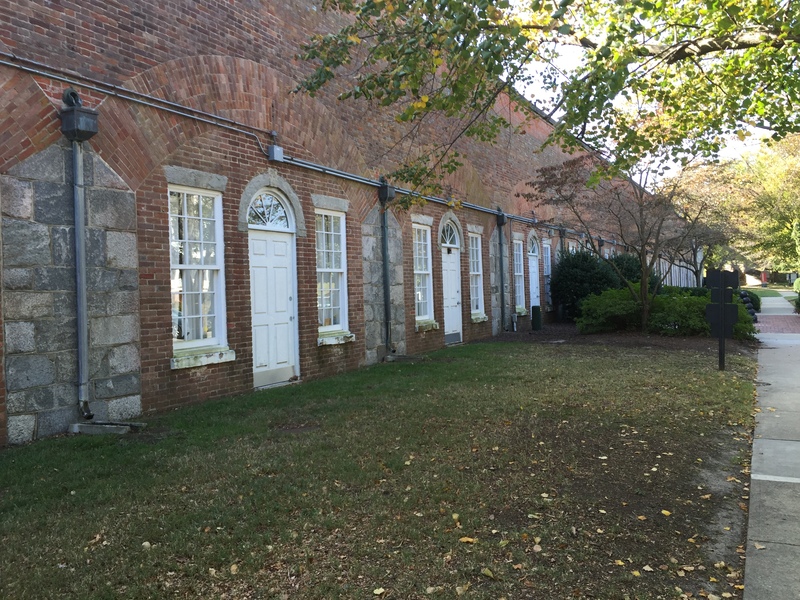 Second Lt. Robert E. Lee served as an engineer here from 1831 to 1834. 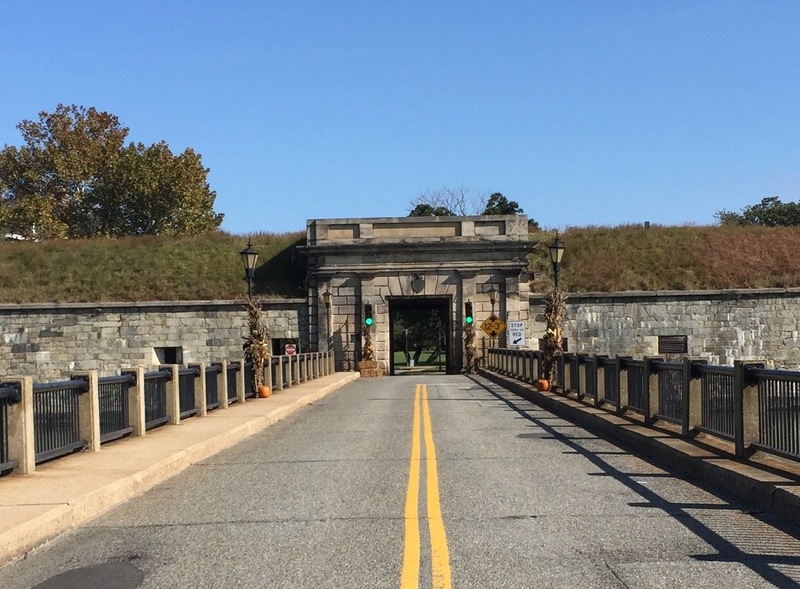 President Obama designated Fort Monroe as a National Monument in 2011. 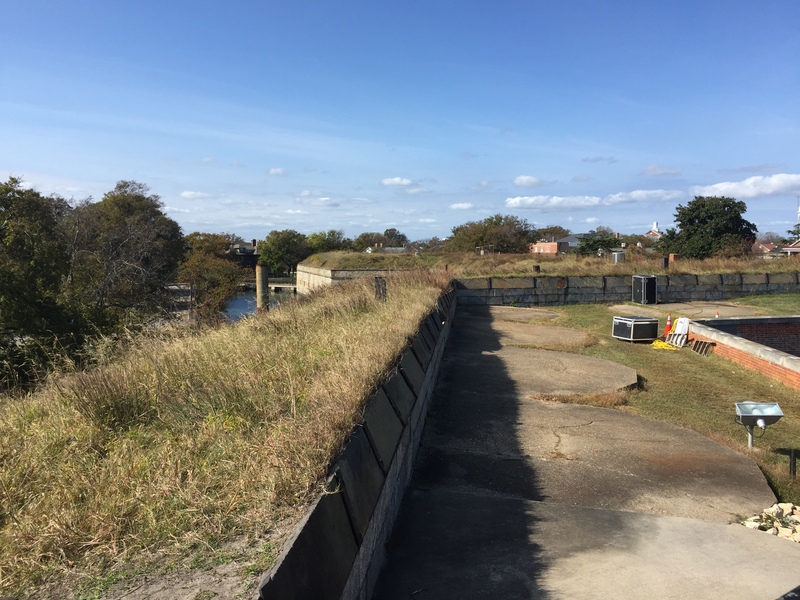 Getting IN to the fort is by driving your car across a bridge over the water-filled moat and through the narrow one-lane entrance. Jefferson Davis, President of the Confederate States, was imprisoned here following the end of the Civil War. Initially, his cell was in a room called a casemate, a vaulted bombproof room of masonry construction within the wall of a fort. After a few months, as his health declined, he was moved to better quarters within the fort. 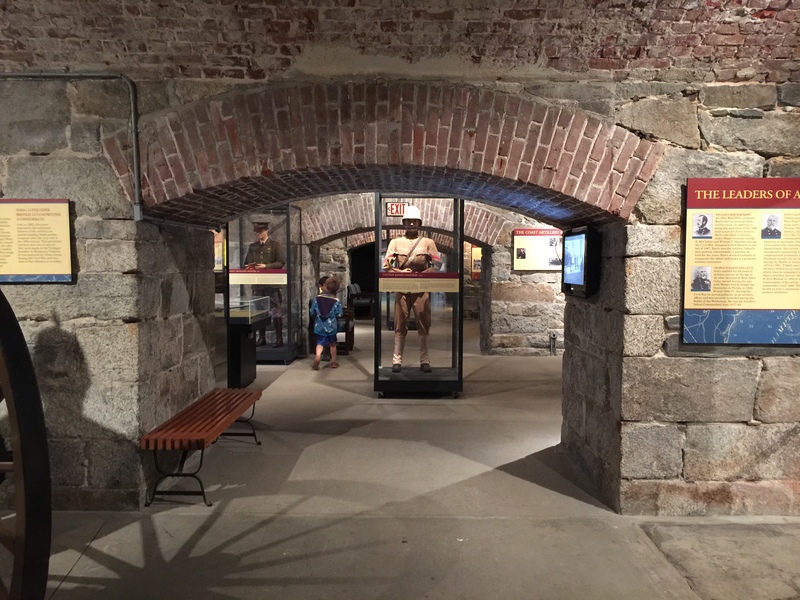 The free museum, here since 1951, is within the fort walls and tells a chronological history of the fort. 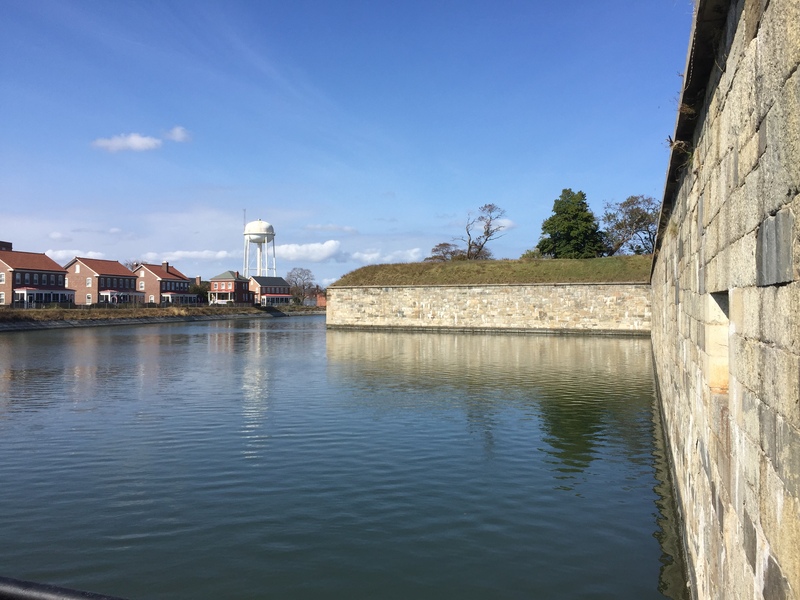 Edgar Allan Poe was stationed here at Fort Monroe for a few months during his service in the United States Army. Outside you can walk up to the top and walk around for some great views. 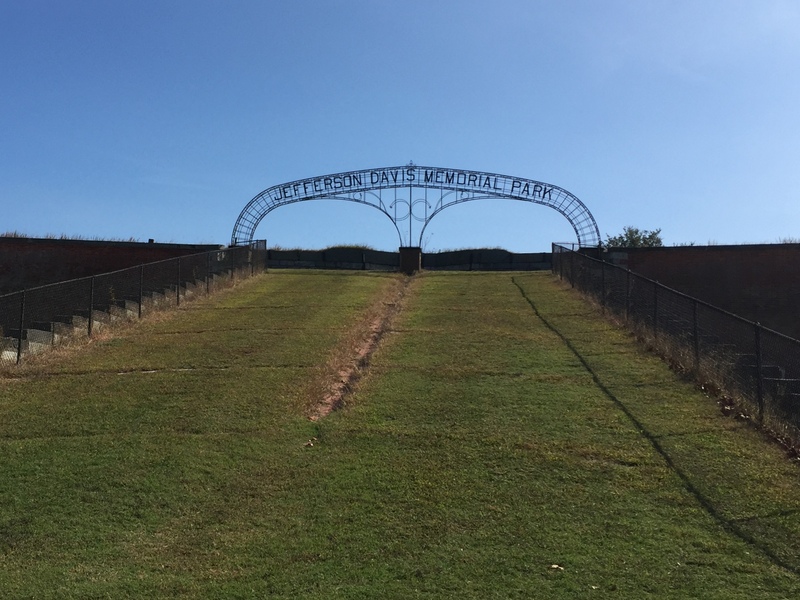 Jefferson Davis Memorial Park is up there too. Just outside the fort is Old Point Comfort Lighthouse, the oldest continually active lighthouse along the Chesapeake Bay. 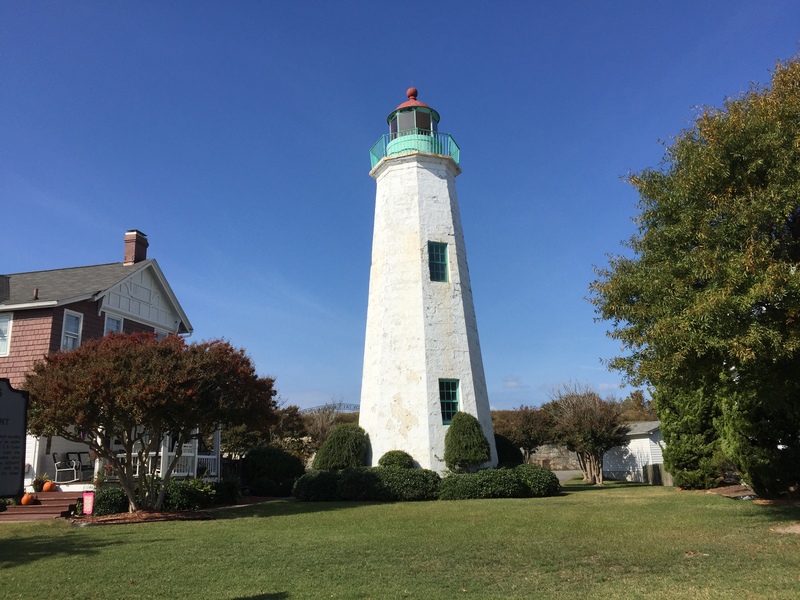 This entry was posted in Daily Post, October, Virginia and tagged Edgar Allan Poe, Fort Monroe, Jefferson Davis, Lighthouse, Old Point Comfort Lighthouse, Robert E Lee. Bookmark the permalink. LOL. He was born in Boston! Oh jeez. Shame! Shame on me!